It wasn’t without some beauty and lifestyle favourites though. So if you’re interested in the products I loved and used constantly last month, keep reading! I received this sample-sized Agave Lip Mask ages ago but lost it, and spent a decent amount of time searching high and low for it. However when we moved, it appeared as if out of thin air. Isn’t it strange how things show up when you’re not looking? Anyways…I was super happy to have it in my life again! Our new house is super dry, and so too are my lips. This mask is really thick, intensely nourishing and completely heals my lips so they look and feel healthier. 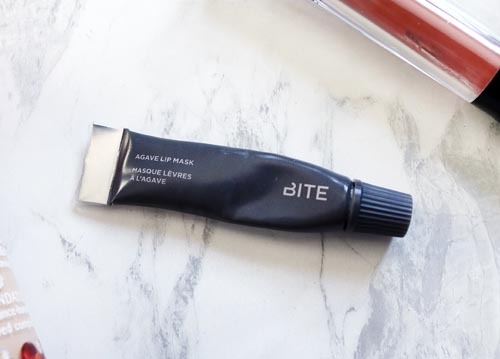 BITE recently released a Lavender Lip Mask, which I can’t wait to get my hands on! I think will be great for night-time use to heal chapped lips and act as sleep therapy. Have you tried it yet? I was lucky enough to receive the entire T3 Convertible Styling Wand Kit from the company late last year and I’ve been using it ever since. 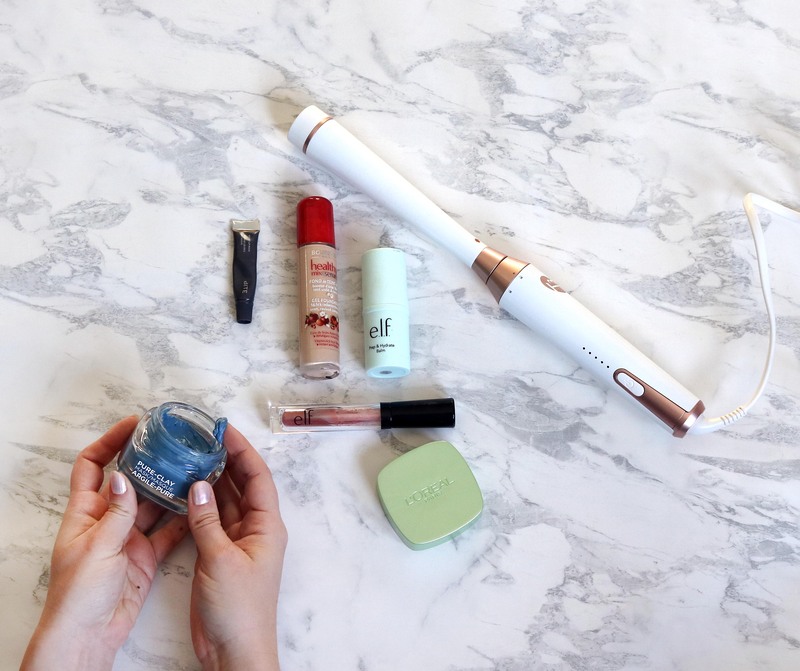 The curling wands are interchangeable and each creates a different look. 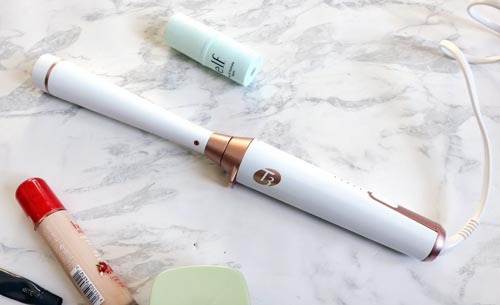 Loose waves, tight curls, curls that cascade…this beautiful gadget can do it all! It has an adjustable heat setting, and believe me, this thing gets HOT!! Which means it takes nearly no time at all to style my entire head of thin hair. It was hard not to fall in love with the white and rose gold detailing too. L’Oreal has released a ton of new, very colourful face masks. 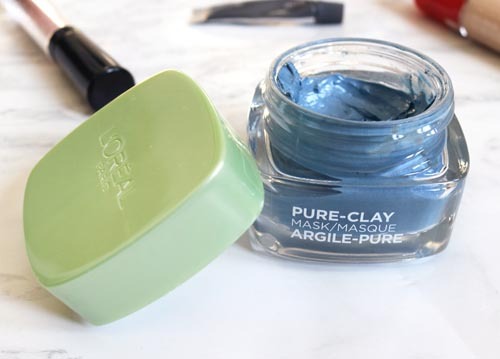 I couldn’t resist the possibility of looking like a Smurf with the blue Clear & Comfort Seaweed Clay one. However, I was pleasantly surprised at how effective it works. It targets imperfections and reduces pimples significantly. I also find it a delight to wear. It’s quite cooling, and tightens while it dries, without feeling uncomfortable. It washes off easily too. This product is a super hit in my books! 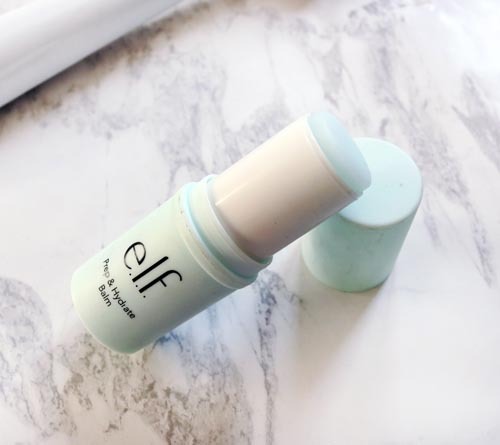 There’s something so satisfying about this hydrating primer stick! I love applying it directly on dryer patches of my skin. It’s slick and feels cooling, which helps de-puff the under eye area and feels really lovely! 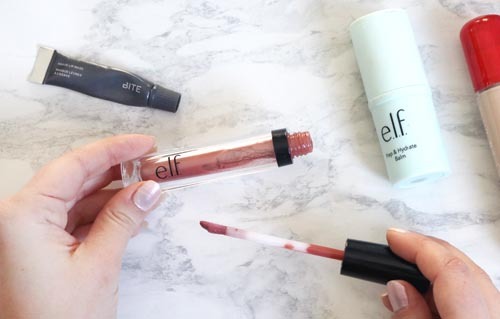 It has a water-based formula, so it’s nice and thin, while leaving a layer of moisture for makeup to smooth over. I know this guy appeared in my Favourite Drugstore Discoveries of 2017, but I honestly haven’t stopped using it since. It’s pretty much the only product I wear on my lips. At least when I’m not wearing a bold colour, which truly isn’t often. As you can tell, I’ve used quite a bit and it probably won’t be long before it’s gone. I really enjoy the lightweight and non-sticky texture! The subtle brown tint is a nice touch as well. 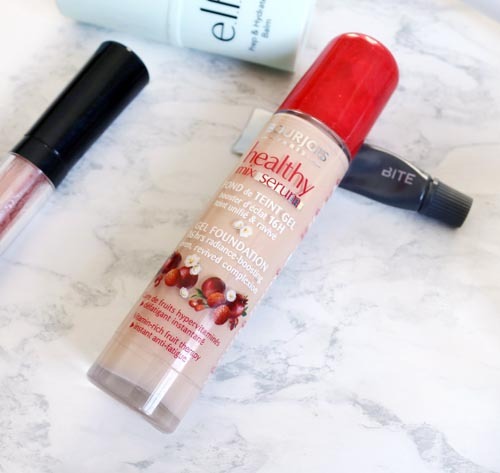 I have fallen in love with the Bourjois Healthy Mix Serum Foundation again. My preferred application method as of late is the greatest (and cheapest) tool…my fingertips! The heat from my hands help melt the foundation into my skin, but I also find I get a bit more coverage applying it this way. The foundation is thin and super hydrating, so it makes my complexion less peaked or tired, and more radiant. I saw this movie (front row) at the beginning of January and despite craning my neck and watching the scenes slightly askew, I enjoyed it so much! It is actually the first movie I said I would gladly go watch again…by myself! Since then I haven’t been able to stop listening to the soundtrack. The songs are super catchy, uplifting and make it impossible not to dance. I highly recommend this movie and soundtrack to anyone that enjoys musicals! It’s definitely a modern take and the songs are much more “pop-y” but I guarantee you’ll leave with a smile on your face, humming or singing the music. I hope the first month of 2018 kicked off to a great start for you! What were some beauty products you discovered and loved? I’m always looking for recommendations and new goodies to try!